BlogHer’13 in Chicago was one of the best-lived experiences of my professional growing and making new connections with new bloggers. Entrepreneurs in business, art and technology came to share their experience with us during this Mega Blogger Event of the year. Just before the craziness of the BlogHer’13 took over, Randal Stancik, the General Manager of the SkyDeck Chicago invited us to take a tour of his Tower. A few of us took him up on this invite without hesitation! Here are my High points during the visit of the major tourist attraction that has welcomed millions during the years of its existence. The Street that has many unique buildings and sculptures on the way to SkyDeck. 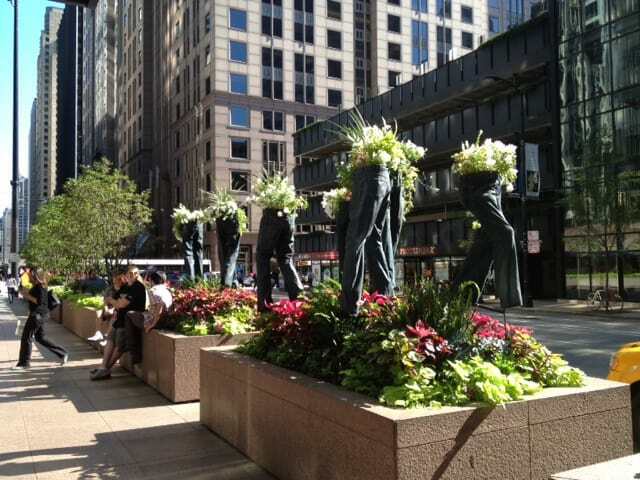 These Real-Life Jeans Pose As Flowerbeds In A Busy Decker Drive Street Of Chicago. Looking up the SkyDeck Tower was a head-spinning experience. I had second thoughts, whether I should go there! It is 1450 Feet Up! You will see! SkyDeck Tower Of Chicago Is The Tallest Building In The City, Losing Its Record High Tallness To A Building In Malasia. 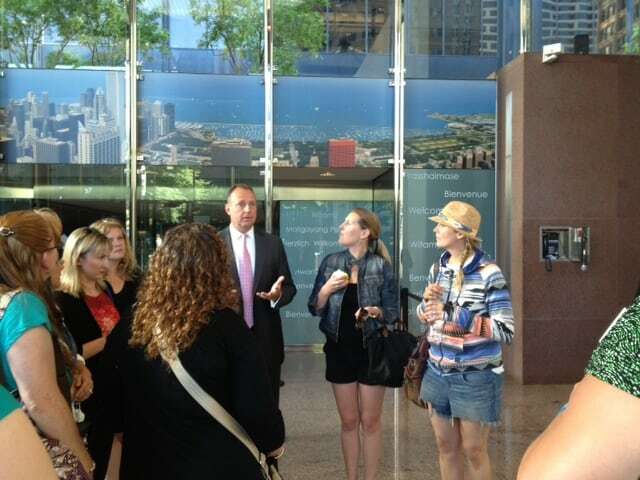 Mr. Randal Stancik, the General Manager of the SkyDeck, Welcomed Us In His Home Tower. 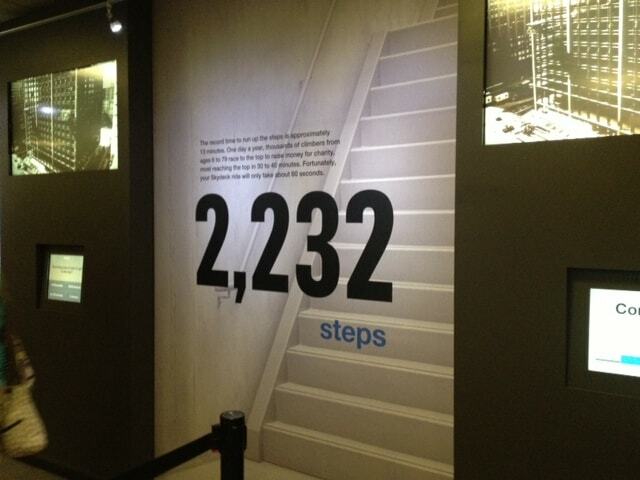 For Those Brave And In Shape – It Is Only 2,232 Steps To Get To The Top Of SkyDeck! 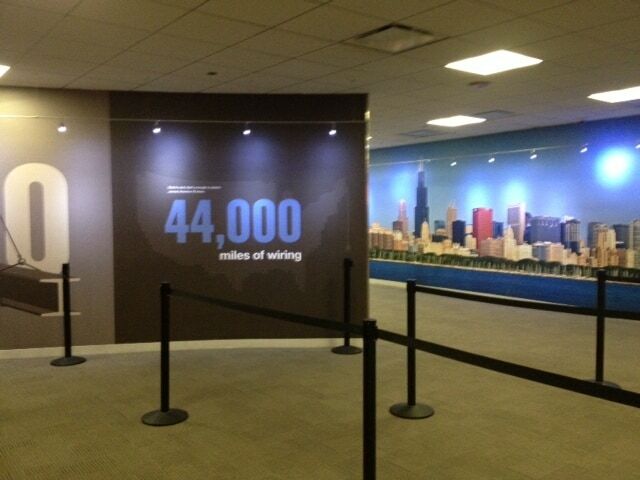 An Interesting Fact – 44,000 Miles Of Wiring Was Installed Into The SkyDeck Tower! There Are 16,100 Tinted Windows In A SkyDeck Tower! It Takes One Full Year To Complete Their Cleaning! 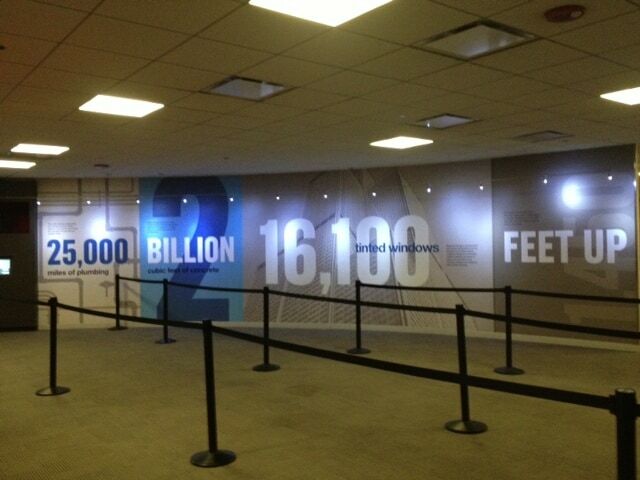 Here are some more stats to enjoy about SkyDeck location! 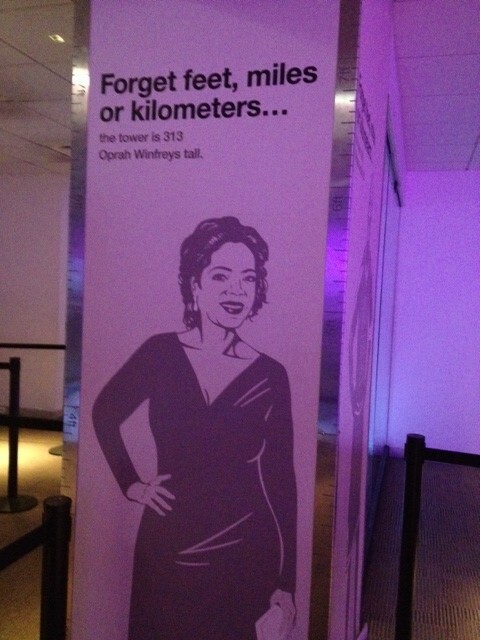 And this is how the SkyDeck Chicago measures up against some of its Famous People, like Oprah Winfrey and Michael Jordan. SkyDeck is 313 Oprah Winfreys tall! 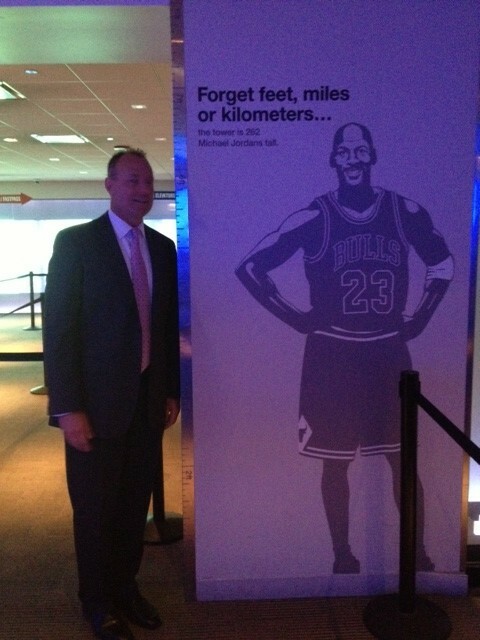 SkyDeck Tower is 313 Michael Jordans Tall! Once we got to the Top of the SkyDeck Tower, the panoramic view of the whole Chicago welcomed us into its arms. Totally breathtaking and memorable. It seems that the time had stopped up there. A huge height of the Tower took away all the smallness and even movement from the street life. And what had been introduced was the stillness of the sight frozen in time of the moment. I know that a city view the next day would be different. But on that day, it was presented to us like this. A Breathtaking View From The Top Of SkyDeck Tower. 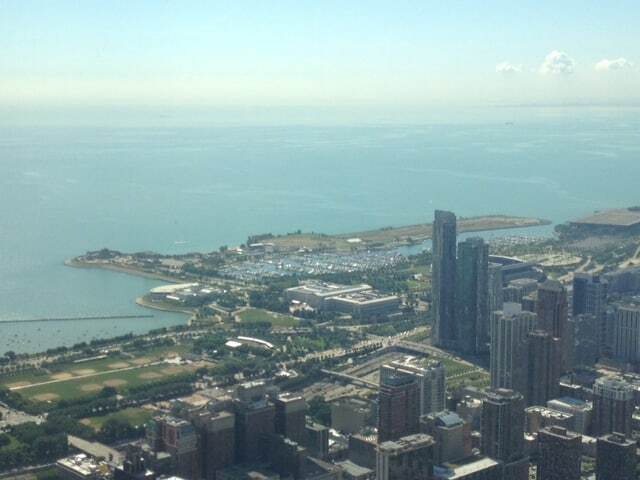 SkyDeck Offers An Unforgettable Experience In Views! 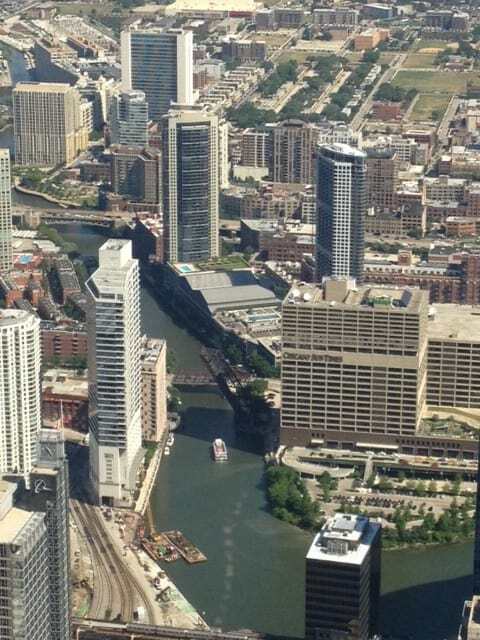 This Is One Of My Most Favorite Views From SkyDeck – A River Running In The Midst Of A Busy City. The Views From SkyDeck Are So Diverse! A Camera Lense Can Easily Spot Towers, Windows, Interesting Historic Buildings And So Much More. The last thing you do when you are just to leave SkyDeck is to stand on its Ledge. We did it with bravery! 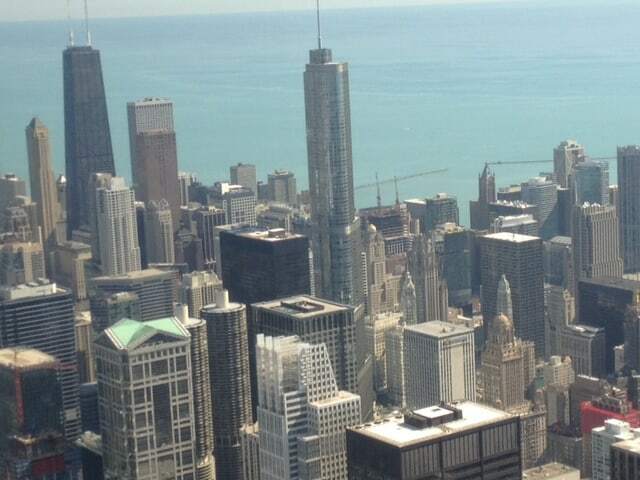 Standing on Chicago SkyDeck Ledge – WOW! 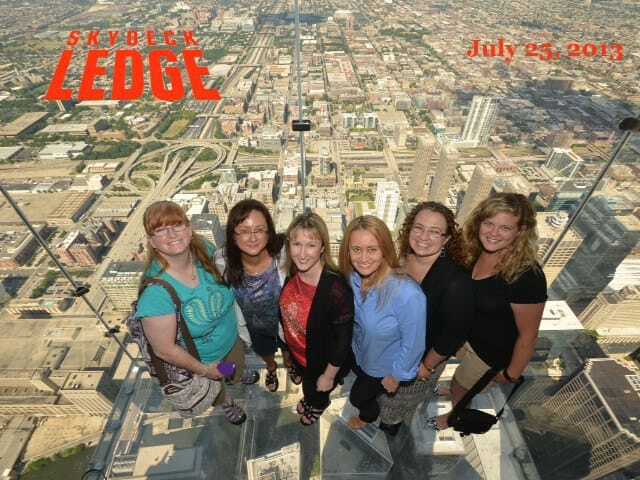 With Some Of The Bloggers Extraordinaire Stepping On The SkyDeck Ledge. Thank you SkyDeck Chicago for having us on that day. 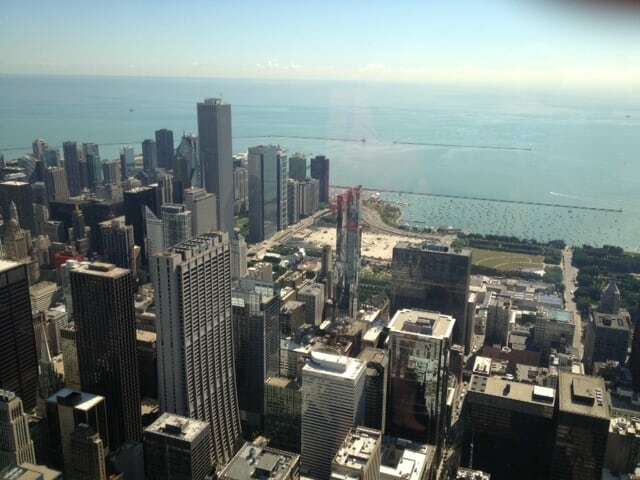 We were energized before our BlogHer’13 and are looking forward to meet this amazing city view in the coming years ahead! Look at These Super Numbers for SkyDeck! Thank you, SkyDeck for a happy and very informational experience that will stay within me for the rest of my life! 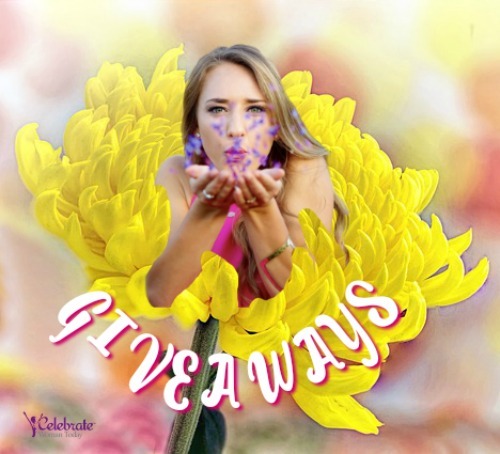 If you like this travel post on SkyDeck Chicago, you’ve got many options to contribute, participate, share, and simply indulge with joy in what you see.